It's that time of year again! We want to hear about your chapter's exciting events and programs from the past year. Annual chapter reports help us tell the story of Slow Food across the country by highlighting what chapters are doing on the ground. It's also your chance to tell us how to contact you, what's working and what's not. The deadline for submitting the annual chapter survey is Wednesday, February 15, 2017. In order to be in good standing and be listed on our website, every chapter needs to fill out this survey and file taxes. We recommend preparing your answers ahead of time using this PDF before submitting the report. If you have any questions about completing the report, please email us. Terra Madre Day marks the day when the Slow Food Manifesto was signed in 1989. On this day, we show the world how we are loving the earth and defending the future. This year’s Terra Madre Day calls special attention to Slow Food’s international fundraising campaign, recently launched to help collect the much-needed funds for Slow Food to continue its role as protector of biodiversity. Any donations here will go to Slow Food International. Take a moment to read and sign the manifesto yourself, then share your Terra Madre Day event here and use the hashtag #TMD2016 for any social media posts during the day. Click for more information and event ideas. 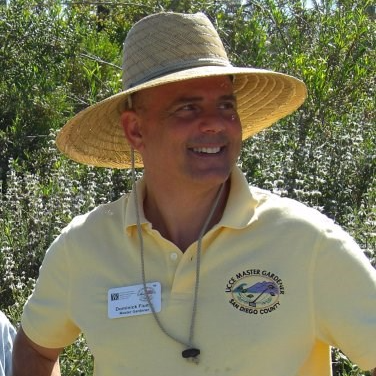 This month we are giving a big Slow THANKS to Dom Fiume, who has served as Slow Food USA governor for Southern California for four years and a chapter leader of Slow Food Urban San Diego for 10 years. Dom has been instrumental in the region, from helping to launch Edible San Diego for Kids to coordinating the first Slow Food California/Slow Food México tour and maintaining strong ties with Slow Food Tijuana. An invaluable ally, he also served on the Ark of Taste committee, the SFUSA policy committee, and as treasurer for Slow Food California. Born in Calabria, Italy to farmers who emigrated to the US and maintaining strong cultural ties, it seems inevitable that Dom would find a home for his passions in Slow Food. Dom will be stepping down as Slow Food Governor for Southern California and we are looking for a seasoned leader to take his place! Email us if you're interested. Looking for some Slow Food swag for an upcoming event or outreach opportunity? 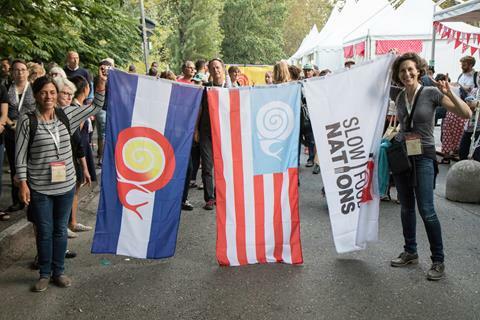 Check out our Leader Resources page under "Promotional Materials" to order Slow Food buttons, stickers, and flags. Already thinking about next year's garden season? Get your school garden off to a great start with a collection of seeds from Baker Creek Heirloom Seeds. 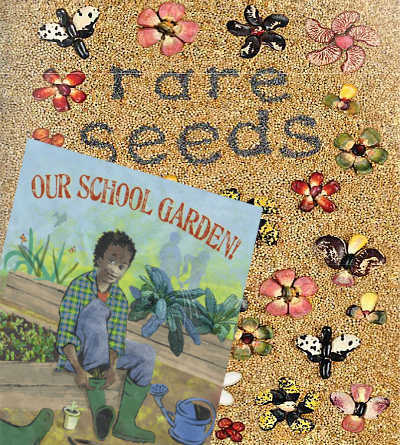 We've picked some of the most popular and easy-to-grow varieties from Baker Creek's seed bank, and paired it with an inspirational and educational book, "My School Garden" from our very own Philip Lee's Readers to Eaters. When you sign up and plan your first healthy school fundraiser with FarmRaiser by December 31st, you will qualify to receive this free gift.